Do you define yourself as a boss or a leader? Being able know the difference can be difficult but is KEY to growing your business and maintaining a healthy company. Many of us have so many questions when it comes to being the leader of our own company and now we have an opportunity to ask three women that specialize in growing healthy businesses and mentor some of the most incredible female founders out there! Sarah Panis, Lindsey Head and Annie Winger will be chatting with us about what it takes to be a successful modern female founder. Other topics on the table include generational differences in the workplace, how to successfully attract + hire the candidate you are looking for, and the common mistakes most first-time leaders make. 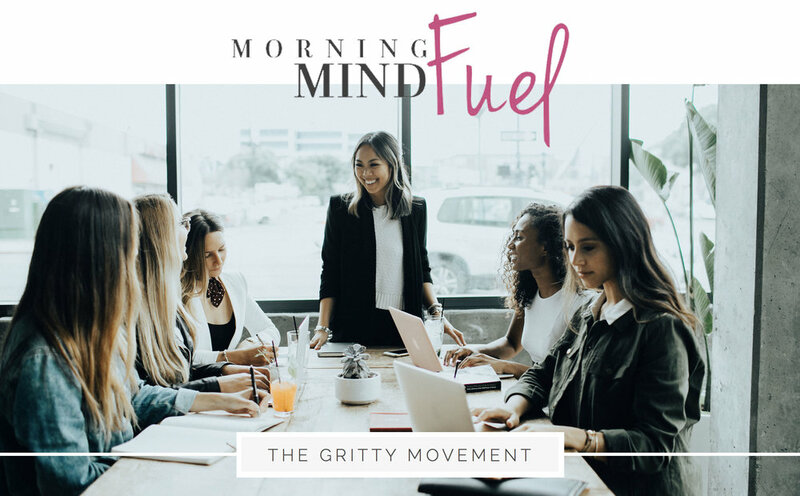 The Gritty Movement was founded by Sarah Panis, former Chief Operating Officer in the banking and finance industry. As a millennial minority woman in the C-Suite, she experienced first-hand the challenges of being a dynamic leader. She started The Gritty Movement to help other young female founders cut down their leadership learning curves, build amazing companies, and make their desired impact on the world. Lindsey Head, Chief Financial Officer for J Public Relations, an international powerhouse PR and social media agency specializing in destination, hospitality, travel and luxury lifestyle brands with offices in New York City, Los Angeles, San Diego and London. JPR is a trusted leader in strategy, trend forecasting, brand partnerships, influencer relations and unparalleled media placements worldwide. Established in 2005, the award-winning agency has steadily risen in the ranks to become the country’s fastest growing, bi-coastal agency in the travel and hospitality spaces. Its global roster includes clients in the U.S., Canada, Mexico, Caribbean, Dubai, Europe, Asia and more. JPR steadily garners and retains stalwart accounts including destinations, hospitality brands and more than 100 independent hotels across the globe, providing PR and social media services. For Annie, there are no such things as ceilings. She is currently the COO & CFO of BVAccel, the #1 Shopify Plus Partner in the world, and has scaled the company from 0 to 100+ employees with 4 US offices and a global office in Tijuana, in less than 4 years. BVAccel was also awarded the #9 Fastest Growing Company in San Diego in 2017 as well as Best Places to Work from the SDBJ. She was born with the entrepreneurial spirit and learned from the best-- her family’s business, the largest salad manufacturer in the US with over a billion in revenues. Along with getting her CPA, Annie graduated valedictorian from ESSEC Business School in Paris, with an MBA in International Brand Management. She began her career as a Senior Auditor for PricewaterhouseCoopers in New York City and then founded a consulting company specializing in management consulting for luxury, lifestyle and direct-to-consumer brands. She has lived, worked, and studied in France, Spain, the UK, New York City, San Francisco, Los Angeles, and San Diego.